Vinyl blinds are one of our most popular products. 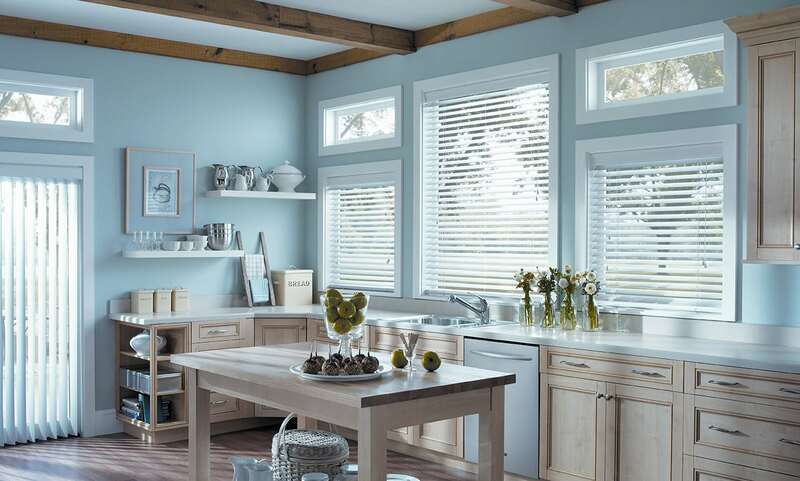 The vinyl window treatments that we offer come in a 2 1/2″ slat. This size of slat creates a clean look almost like a shutter but comes at a much lower cost. Zinga’s vinyl blinds are both durable and versatile, and unlike other vinyl blinds from home improvement stores and so-called discount resellers, vinyl blinds from Zinga’s Home Solutions won’t yellow, bend, or warp, which leaves them looking beautiful for longer periods of time. Our vinyl blinds are custom made specifically for the measurements of each of your windows. Which minimizes light leakage from ill fitting blinds, and there won’t be an unsightly stack of slats sitting in the bottom of your window sill. We also offer many different color options and can even match your blinds to the specific Sherwin-Williams paint color your builder used on your trim. Vinyl blinds are made from resilient PVC, and are moisture resistant, making them the perfect window fashion for any room, including high moisture living spaces such as bathrooms, kitchens and mudrooms. Their simple looks gets the job done while adding a warm touch to any room. Call today and schedule a complimentary in-home design consultation with one of our professional design consultants and see how affordable the classic look of Vinyl Blinds can be for your home. One of our most popular products. The vinyl product in a 2 1/2″ slat creates a clean look almost like a shutter but comes at a much lower cost. Zinga’s Vinyl Blinds are both durable and versatile, and unlike other Vinyl Blinds from home improvement stores and so-called discount resellers, Vinyl Blinds from Zinga’s Home Solutions won’t yellow, bend, or warp. 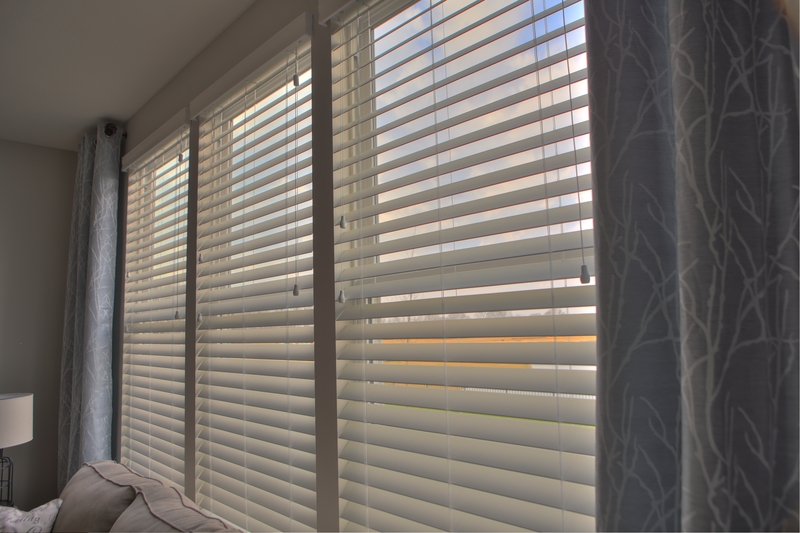 Our blinds are custom made specifically for the measurements of each of your windows. Which minimizes light leakage and there won’t be an unsightly stack of slats sitting in the bottom of your window sill. We also offer many different color options and can even match your blinds to the specific Sherwin-Williams paint color your builder used on your trim. Vinyl Blinds are made from resilient PVC, and are moisture resistant, making them the perfect window fashion for any room, including high moisture living spaces such as bathrooms, kitchens and mudrooms. One of our most popular products for homeowners is our Vinyl Blinds. Many people do not know there is a large difference in quality and functionality when choosing the typical Vinyl Blind. As you do your research make sure the blinds you choose have the features below. Many of the products you will find at Home Improvement stores to do not offer these. Download our comparison chart to see how Zinga's compares to other blinds companies. Learn the differences in the various products on the market today and what features you should be looking for when purchasing your next set of blinds.